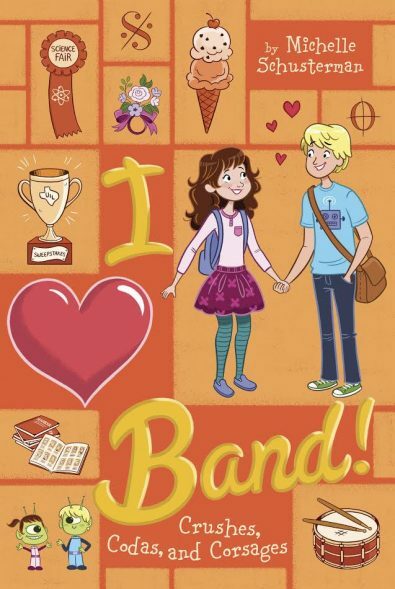 Surprise sleepovers, disastrous band trips and abandoned friendships: Holly tackles it all in the third book of the I HEART BAND series! 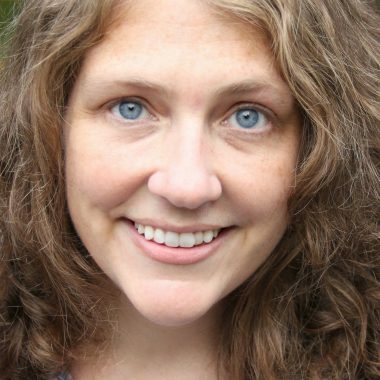 For Holly Mead, the second half of seventh grade means classes get twice as hard – especially band. Between the upcoming band trip to New Orleans, the All-Region concert, and Solo & Ensemble contest, she’s got more than enough music to practice. And it doesn’t help that her director put Holly in an ensemble with Aaron, her not-so-former crush…who’s now dating Natasha, one of Holly’s best friends. But classes aren’t the only thing getting more difficult. Now that Holly’s other best friend, Julia, has a boyfriend, she doesn’t seem to have much time for Holly anymore. So Holly’s really excited about the surprise sleepover party she’s throwing for Julia’s birthday – finally, a little quality time with her best friend. 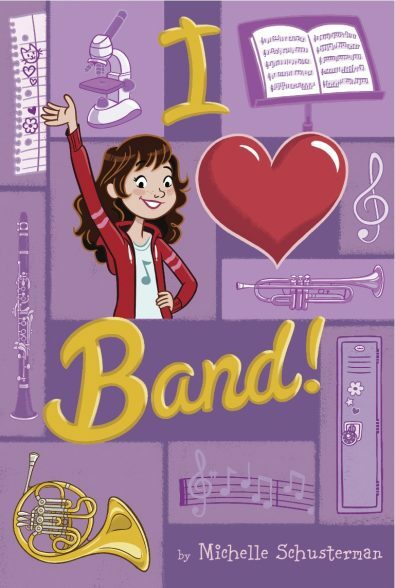 When Julia skips the sleepover to go to a concert with her boyfriend instead, she and Holly have a huge fight. Holly’s been looking forward to the band trip for months, and now she and Julia aren’t even speaking. 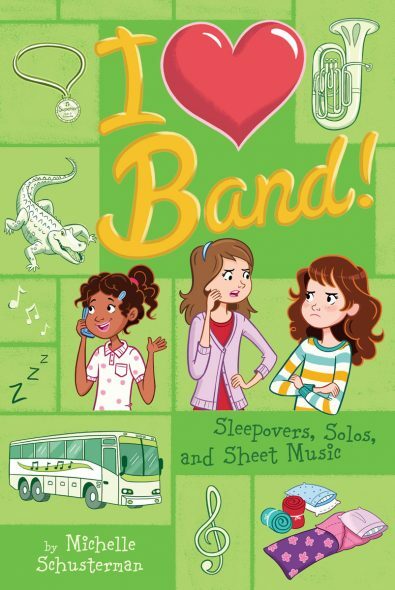 When the bus breaks down and the band ends up stranded in the middle of nowhere, Holly realizes this is shaping up to be the best trip ever…but it’s kind of hard to have fun considering her best friend abandoned her. 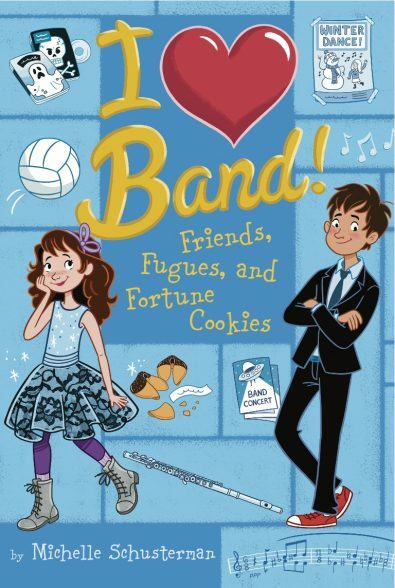 Roller coasters and new crushes, funhouses and break-ups – all kinds of things change during the band trip, but all that matters to Holly is saving her friendship with Julia. Grosset, Penquin USA (Books 1 and 2: Winter 2014; Book 3: Summer 2014; Book 4: Fall 2014).